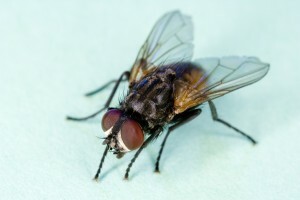 Flies habitually move filth to food and spread harmful bacteria throughout the work place and home. Above all they are not only an unsightly nuisance, the presence of flies indicates poor housekeeping to your customers. Our fully trained service technicians understand the biology and habits of each flying insect species. Due to the small size and mobility of flies making any building insect proof is extremely difficult. Points of entry must be located. We can also offer professional advice in how to control and reduce the risk of contamination, stock damage, and protection from prosecution. Housekeeping plays a vital role in the control of flies. At Europest we follow three fundamental principles when controlling insects ERD. E – Exclusion: Doors and windows which are opened for ventilation may allow insects to ingress into your building. 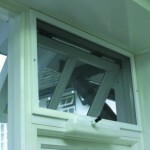 The fitting of insect screen doors and fly screens will allow ventilation whilst reducing the risk of pest entry. R – Restriction: Providing the right advice with regards to the causes of flying insect activity. Overflowing refuse containers, exposed food sources, spillages, and broken drain covers are a few of the many contributing factors which may encourage flying insect activity and possible ingress into your premises. D – Destruction: Europest utilise the most efficient up to date fly control methods in control. Methods vary from reactive fly alighting treatments to flying insect control units that both monitor and prevent flies. We endeavor to do this discreetly and professionally with the least disruption to your business. We are able to offer and advise on fly control units for any environment, on a supply only, hire, or maintenance only agreement. We would stress that it is vital when choosing a fly killer that professional advice is sought to ensure that the unit is designed to control the correctly identified species of flying insects, to fit the unit safely with no risk of cross contamination of food surfaces below, and efficiently in the desired area. We offer a free site survey to ensure the right advice is provided and the most effective unit may be utilised. 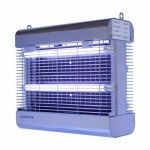 Our number one selling fly control unit the Cobra unit is suitable for any commercial premises. Designed For offices, front of house areas the illume offers discreet and stylish flying insect control. We stock a wide range of electric fly killers available for a variety of premises which can be tailored to suit all budgets. 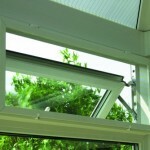 All units are fitted with shatterproof tubes. The liberator is ideal for fly control in warehouses and industrial units. The viper unit is an obvious economical choice for restaurants, take away food retail outlets, hotels and kitchens. A poorly maintained fly control unit will catch fewer insects, leaving you open to the risk of contamination and spread of disease. We offer a service package for all types of fly control units, offering service visits throughout the year, tailor made to meet your requirements. All units on our maintenance contract will have new Ultra Violet Light tubes (UVA) fitted every twelve months and catch tray analysis if required. All works would be fully documented and filed in your onsite report folder. At Europest we offer a fully comprehensible fly screening service for both commercial and domestic premises. Hotels, schools restaurants, offices and pubs are just a few of the premises we have supplied. We are able to offer solutions to any type of window or door to keep flying insects out and offer a free site survey to ascertain your requirements and help you comply with food hygiene legislation. 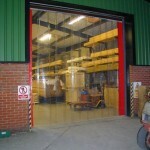 All insect screens are manufactured to a high standard and are tailor made on your premises. There are many types of insect screens with different operating and fitting styles available we have a selection of styles highlighted. A clip and hinge insect screen. 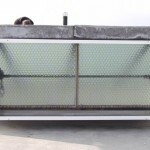 A canopy type insect screen which allows the window to open into a canopy box. Double slider insect screens the most durable and easy to use insect screens which are fitted internally to the window reveal. 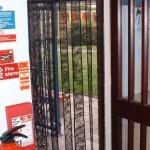 Our perforated strip curtain door offers cost effective versatility whilst reducing the risk of pest entry. 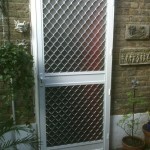 Our fully fitted fly screen doors are tailor made on site and can be fitted to any type of doorway to provide the perfect seal against unwanted pests. An ideal way to reduce the risk of flying insect and bird entry into warehouses whilst retaining heat is the supply and fit of PVC strip curtain doors. We are able to supply and fit a PVC strip curtain to any doorway. Please call to arrange a free survey and quotation.